Fantastic floor plan! 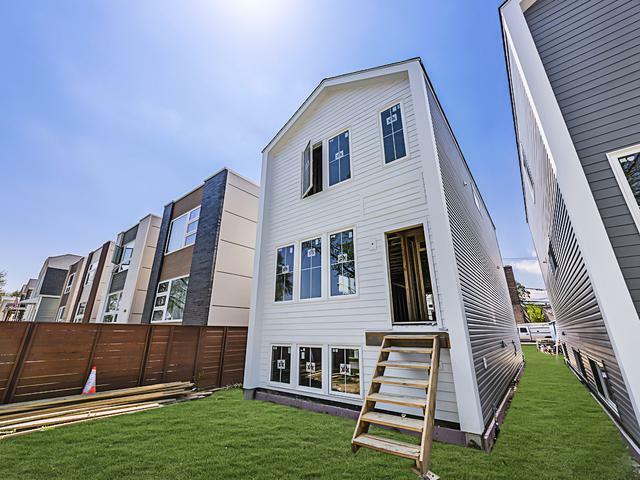 Luxurious NEW construction home by Premier developer, SmartTech Homes, on the border of Old Irving Park. Great location, steps from the Grayland METRA station, Six Corners, Jewel, restaurants and easy access to I-90/94. 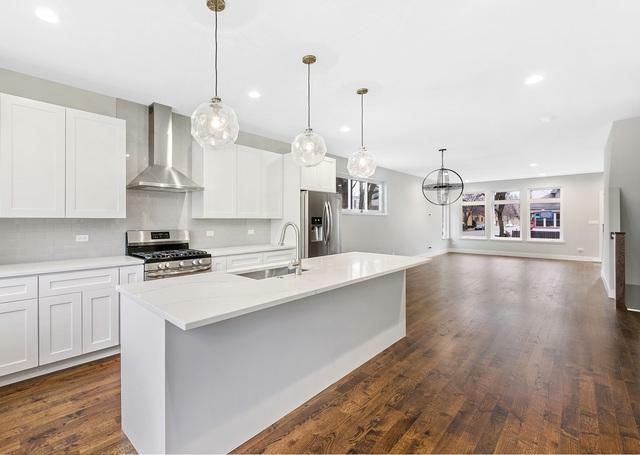 Open, airy & intelligent floor plan, 4 bedrooms, 3.1 luxury baths, family room on the main level, gourmet kitchen, large island, stainless steel appliances, crown molding, cathedral ceilings, & 2nd-floor laundry. Master suite with THREE walk-in closets and LARGE master bathroom with double vanity, heated floors and oversized walk-in shower. 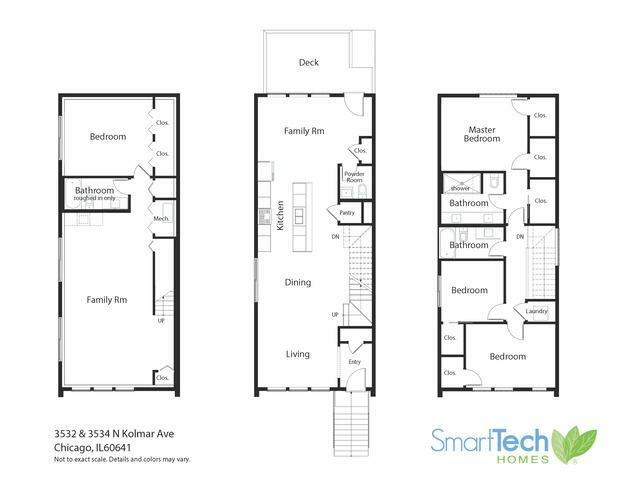 Fully finished lower level with large rec room, wet bar (rough-in), guest bedroom, bath (rough-in) & storage. Rear deck with a dedicated gas line, fully fenced yard and 2 car garage. Designer inspired interior touches for functional, stylish & affordable urban living. 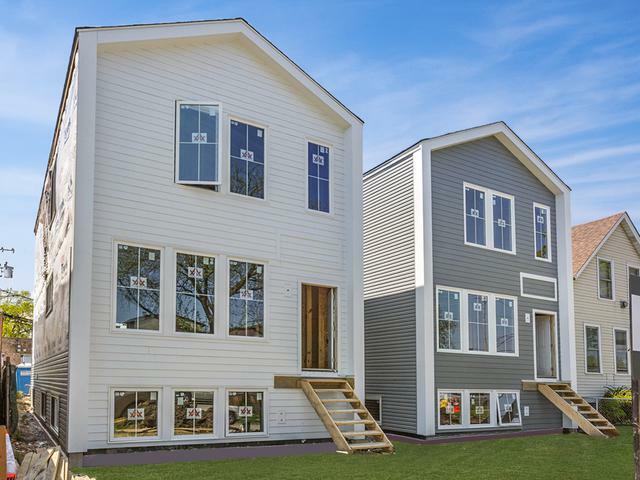 Smart thermostat, high-efficiency dual zone HVAC, enhanced exterior envelope sealing, & high-performing windows. 3534 N Kolmar is under contract.